This adorable bird (we’re not sure yet if it’s a he or a she) is the fabulous Rose Breasted Cockatoo. You can practically her her/him purr. This is one of the BEST birds from the cockatoo family: they are a medium sized bird, are relatively quiet, and have an engaging, spritely personality, and easily and happily learn tricks and to speak. 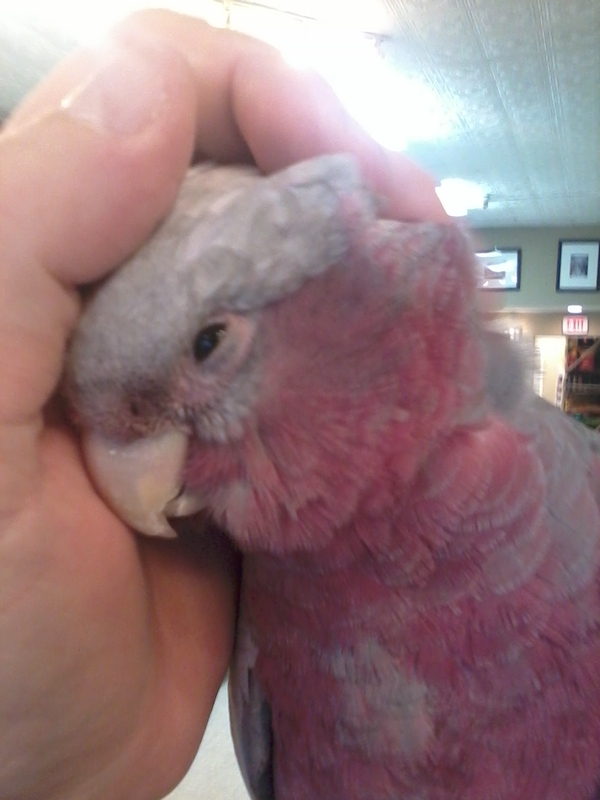 What’s more, they have that one cockatoo characteristic people love: they are sooooo cuddly. S/he just loves to be scratched.